Well, the Gazette has spoken out strongly about our Mayor and our Council. Take a look at Page 13 of the June issue. Note from your moderator: shoud we keep posts on this site to subjects that are clearly specific to Swanage? Or not? I suppose behaviour matters everywhere...and I'm reluctant to edit any comments. Just a thought. Some brief notes for those who might be interested (bearing in mind the minutes of the meeting won't be available for 12 months!). Do please post any errors or omissions and they will be corrected. Meeting was attended by all Councillors and about 40 members of the public (a significan timprovement on the previous year, when about 10 attended). The press were represented by The Purbeck Gazette. John Wootton proposed (Mike Hadley seconded) a resolution that residents wished for all Council meetings to be held in the evenings, so that a/more people would be able to stand as councillors and b/more people could attend meetings. The Town Clerk was unable to confirm the legitimacy of debating this resolution, so after some debate (during which the Mayor, Tony Miller, proposed revisiting the matter at the next parish Assembly in 12 months time). He also said that there was no point reviewing the matter so that other councillors could stand, until the next elections. Mike Hadley noted again the reference to making it easier for more members of the public to attend. After much acrimonious discussion, Councillor Suttle suggested the matter be debated at the next Council meeting. Citing the refusal of planning applications on the above sites, someone (?) suggested that certain Swanage representatives on the Purbeck District Council planning board seemed set on stopping all development that might improve the town. Councillor Colin Bright noted that he and other officers have to follow many detailed rules on what is/is not allowed and do not always agree with PDC. Mayor said if Pier Head put forward a plan that was not 'gross over development' it would get approval. John Wootton noted that the whole planning procedure was confusing, and not helped by the use of ambiguous terminology, such as the Town Council referring to 'recommendations' when it only has authority to make 'observations'. Paul Brown (Chairman, Chamber of Trade) reported that there continued to be many instances of violent behaviour in Lower High Street in the early hours, and asked what was being done to stop this, for the police seemed notably absent. Mayor cited lack of police resources combined with the police use of statistical evidence that Swanage had no need of extra policing. Mike Hadley suggested that perhaps the Council should take more control rather than always deferring to the Police: for example if the Council say a camera is needed, perhaps it should fund it rather than waiting for police funds to possibly be made available. The question was asked whether the Community Support Officers could do more. Apparently these no longer exist, now called something else...answer not pursued. Councillor Tyrer (and the Mayor) emphasised that all crimes, however 'small' shoudl be reported to Crimestoppers (if not the Swanage police) and a crime number obtained to ensure the incident is logged, and so contributes to the statistics. Andy Burnet referred to recent studies that giving chocolate to late night revellers can be useful in reducing aggressive behaviour, and suggested that perhaps his business (Chococo) could help in this regard. Pat Bizley said it seems there was a failure of communication between the townspeople and the Council, and (noting the workload) asked if the newsletter 'Swanage Matters' could be published again. Mayor said the Council had been told by the Chief Executive of Purbeck District Council not to publish at the time of the recent elections 'because of a letter from the Liberal democrats that this might be unfair". Mike Hadley said it didn't mean they couldn't publish after the election. But no commitment was made to another issue, so presumably there wasn't one waiting to be printed anyway. Mike Hadley asked if it was time to consider new ways to ensure safety on the water Swanage Bay, mentioning that he had been nearly run down on two occasions (not necessarily by blue boats), and that the marine police had taken 3 hours to respond. Mayor cited lack of resources, Mike Hadley said if the Council was happy to attract people to Swanage, it should do everything it can to ensure their safety, if the Council can spend £500,000 on the caravan park, perhaps they need to spend something on the holiday ark called Swanage. Mayor noted that action was in hand to stop jet-skis launching at Ocean Bay, and others launching in the Bay would have to be licensed. Councillors Hilary O'Donovan and Cherry Bartlett recalled that the marine police had promised to be more active, and should be brought to task. Town Clerk also noted that new leaflets were being produced on water safety/zones in the bay, and that there is now a Hotline to phone if any incidents are observed. Also, the beach wardens have the authority to instruct cctv cameras to be trained on any incidents, to obtain footage which can be used as prosecution evidence. David Price-Hughes asked if anything had happened regarding getting the Jurassic bus to visit Swanage, a subject he had raised previously. Mayor said Council was pursuing this, agreed it was unsatisfactory the operators could find resources to run to Poole and Bournemouth (not even on the Jurassic route) yet won't come to Swanage. Mr Martin Cooke (of Durlston) said this was also being approached from their end. David Price-Hughes referred to dangerous pavements mentioned at previous public meetings: one outside Amusements, opposite Victoria Club, which ahs no room for a wheelchair or a pram; also there's often a car parked on pavement opposite East Bar, and no action ever seems to be taken against this. Mayor said these would be raises at a meeting taking place with DCC (Highways) tomorrow. Lorna Haines noted the success of the Skate Park and thanked the Council for its support, pointing out that there plenty of 'good' kids who are involved with things like this, and that all kids in the town should not be tarred with the same brush. Reg Noquet asked if a hand rail could be placed alongside the footpath here. Town Clerk said he would look into this. Ian Saunders asked what promotion was being undertaken to ensure the success of the caravan park restaurant. Councillor Suttle assured the meeting that there would be adequate promotion, and extolled the virtues of the park, and the money-generating opportunity it provided, both in increased rents (associated with improvements) and in the sale of caravans. Mr Moles complained about the littered state of the town centre and criticised SITA. This was scoffed at from the Chair who said that Wareham councillors thought that Swanage was much cleaner than their town . Mr Moles confirmed his view and had some support from the floor. John Wootton expressed disappointment in the way the meeting had been handled: saying that the procedure was improper, there should have been a proper agenda, and that the Council should have acted on his proposed resolution. If anything missed or incorrect, please post a comment and it will be addressed. New Hotline to report trouble in Swanage Bay: lost children, first aid, marauding jet-skis, manic power boats...just call 423666. This goes to the Beach Wardens who have radio contact with police etc. But only during working hours (9.00 am - 5.00pm, 7 days a week in summer). If you want to see how Swanage Town Council has performed over the last year, you can get (free) copies of the 2004/5 Best Value Performance Plan from the Town Hall. How can it be that in this age of computers and "just in time delivery" the Swanage Co-op is incapable of having the normal ranges of sliced bread and vegetables on the shelves throughout opening hours. Other supermarkets in other towns manage it. This is the first draft of the outcome of work to date. More detail on www.swanagecommunityplan.blogspot.com. Future action rests on whether the ‘Partnership’ and its Steering Committee can be developed into a strong community organisation that has ambition and commitment to work with local communities to plan and implement regenerative initiatives embracing social, environmental and economic issues affecting the daily lives of people in Swanage. This Partnership will rely upon the full support and co-operation of the Town Council and upon the absence of individuals pursuing their own agendas. It would seem that before community plan projects can be started or before MCTi plans can be progressed, there is a need to set a clear vision and mission for the ‘Partnership’ and then expand and deepen it whilst creating a strong and motivated Steering Committee. The following headings detail those subjects that arose as being among the most important, during the consultation process. This is the first draft of the outcome of work to date. These major programme and project themes will be owned by the Swanage Town and Community Partnership Steering Group who will further define and develop them in liaison with statutory partners and others. They will then be actioned. When practical community action is initiated this draft plan can be finalised and published, and a summary of the projects can be distributed to every household. Working with Mowlem Trustees and Town Council to change terms of Trust to engage community in supporting Mowlem development. Project 8; Build a combined sports and community centre for all ages. Project 9; General Regeneration initiatives e.g. Benchmark good examples in other towns e.g. - A place where young and old can drop in and mix and share facilities such as IT training. Project 3; Visitor facilities e.g. e.g. level of charges; Ocean bay situation; residents scheme; holiday expansion; Station Road –one side? e.g. free transport for under 18’s; bring Jurassic Bus to Swanage; around town hopper to complement revised parking scheme; disability access on buses. e.g. close seafront year round; other pedestrianisation; traffic calming; review/adjust one way system; lower speed limits. Want to advance the Swanage Community Partnership? Should we have a crematorium in or near Swanage? Its quite absurd that funeral services here are followed by a dash to the outskirts of Poole. If we had a crematorium here funerals could be conducted on the premises like they are everywhere else with a bit more dignity and a lot less stress. Why has this never been done? is there some sort of minimum number of deaths a year a town has to have?At the risk of contemplating the mawkish there must be lots of people who love Swanage but dont live here but who would like to be cremated by the sea perhaps with their ashes scattered in it. We live in a post-church going age and should expect a wider range of ways of celebrating the life of a loved one. Members of the public are now invited to join in the Great Debate by expressing their opinions by providing feedback as part of the second consultation. You are also invited to attend one of several public meetings. Feedback, using either online or printed form is also welcome. The closing date for feedback in this phase of the Great Debate is Friday 1 July. The online form for you to return your feedback to the Great Debate can be filled in by clicking the link. However, before you fill this form in, we advise you to download the Great Debate stage 2 consultation document - which contains notes and help in filling in the consultation form. The second round of public meetings that form part of the Great Debate will take place across Dorset in late May and early June. These will meetings coincide with a second consultation. For full details details of the second consultation, see website. The second round of meetings will all commence at 18:30. The precise length of the meetings, and the agenda for those meetings have not been finalised yet. These details will be published on this web page when known. Can we talk about the Election here? Surprised no one has done so yet. Anyone else finding it difficult to decide? As I see it., JIm Knight seems to have done a decent job for Dorset — but in all honesty, how can you vote for a party that lied to get us into war? And also how can you vote for someone who gets up to the tricks of the Tories, what with fiddling photographs and inventing dramas that they can pretend to solve -eg saying that places were going to close unless they saved them: like the Swanage police station, the coastguard, the hospital, St Georges school, etc. Yet if you vote for the Liberal Democrats is the vote wasted? Do they have a chance of getting in? Enlighten me, someone? 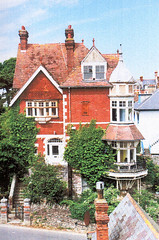 Reders may be interested to visit:www.seacourtswanage.comto find out more about this old house. See the Mill Pond ducklings! The Mill Pond is well worth a visit at the moment with 11 ducklings and a Moor Hen sitting on a cluth of 5 eggs. YET AGAIN THE TRAFFIC WARDENS STRIKE. I was disgusted to see not 1 BUT 2 traffic wardens, whilst out in swanage, booking vehicles on a BANK HOLIDAY. Do they enjoy scaring the holiday makers away? If it keeps on thats what will happen.Where else in swanage is there parking for bikes. I love to see the bikes parked there and also other people can have a look and enjoy them too.Are they really doing any harm parked by the stone quay in swanage as most of them are there for a short period of time. I think that we should be privaleged that these bikers want to come to swanage an show there bikes off and spend their money in the town and on the accomodation that we provide as a town.i think that the traffic wardens should not be allowed to work on a bank holiday.If this was to happen i think that more visitors would come to swanage and enjoy themselves and not be worrying about whether the hav recived parking tickets.